Aaron Best defending a Brazil player in Laval, QC. Photo by Trung Ho. 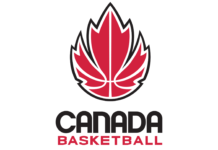 The Second Round of the FIBA Basketball World Cup 2019 Americas Qualifiers resumes Friday night for the Canadian Senior Men’s National Team as they take on Venezuela in Caracas in the fifth window of qualifying action, followed by a second and final game of this window against Brazil on Monday which will take place in Sao Paulo. 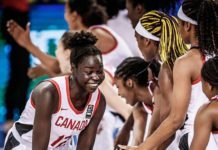 Canada and Venezuela have yet to meet in the Americas Qualifiers and will be in a battle to hold top position in Group F standings, with both teams owning a 7-1 record, while Monday’s game will serve as a re-match after Canada defeated Brazil 85-77 in September in Laval, Quebec. 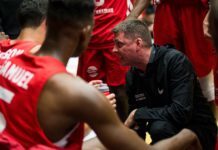 Canada will enter this fifth window of play with yet another variation of its roster, with this phase consisting of primarily players from overseas clubs. 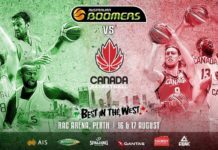 Joel Anthony (San Lorenzo, Argentina) and Brady Heslip (Fraport Skyliners, Germany), who have together played a combined 13 games for Canada in the qualification process, will provide a veteran presence for the team, while Phil Scrubb (Zenit Saint Petersburg, Russia) and Thomas Scrubb (Pallacanestro Varese, Italy) will also play key roles in the lineup, suiting up for their fourth and fifth games, respectively. 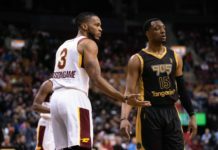 Aaron Best (Riesen Ludwigsburg, Germany), Kaza Kajami-Keane (Landstede Zwolle, Netherlands), Kyle Landry (Buducnost, Montenegro), Duane Notice (Raptors 905, G League) and Dyshawn Pierre (Banco di Srd, Italy) will be returning to the lineup for consecutive games after participating in September’s fourth window game against Chile. 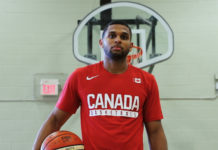 One day before Canada was set to take the floor in Venezuela, the team announced that Xavier Rathan-Mayes (AEK Athens, Greece) would be replaced by Kadre Gray (Laurentian Voyageurs, U Sports) due to an injury. 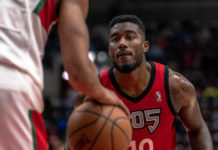 Rathan-Mayes, who averaged 16.8 points and 7.1 assists for the G League’s Westchester Knicks last season, was expected to provide a lift on the offensive end, particularly with the absence of the NBA talent that Canada has had in its previous two windows. Filling Rathan-Mayes’s void for the upcoming two games will likely come at the hands of Best, who is averaging 7.6 points and 2.8 rebounds for Canada. 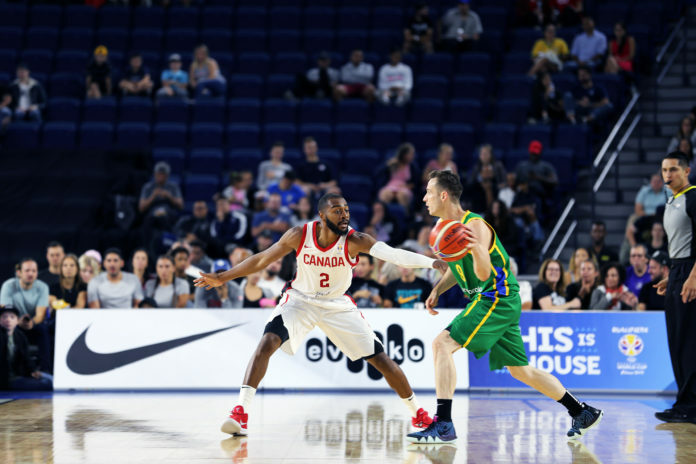 Best also played a significant role in lifting Canada over Brazil in their previous matchup, where the former Raptors 905 buried four of six 3-pointers, including two in the fourth quarter to help hold off a second half run by Brazil. The late scratch could also provide more opportunities for Best’s fellow ex-U Sports star Phil Scrubb to step into a more significant role. Gray, Conor Morgan (Divina Seguros Joventut, Spain) and Kyle Wiltjer (Unicaja Malaga, Spain) will suit up for Canada for the first time in this qualification process. 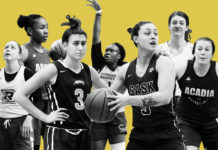 Gray, a third-year guard for the Laurentian Voyageurs, is the first active U Sports athlete to be included in Canada’s lineup in this Americas Qualifiers process. He is currently the leading scorer in the nation, averaging 32.4 points per contest. Morgan, a UBC Thunderbird alumnus, will add depth in the post for head coach Roy Rana, while former Gonzaga-standout Wiltjer has the ability to stretch the floor with his size and 3-point shooting ability. 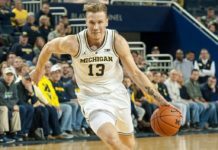 The active NBA season prevents past participants such as Kelly Olynyk, Cory Joseph and Dillon Brooks to play for the national team during the season. 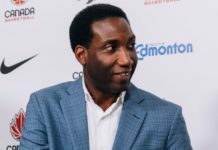 Despite Canada’s single loss (versus Dominican Republic) coming at a time where players from the NBA were not on the roster, the team has been able to maintain its success particularly on the offensive end, scoring an average of 96.8 points per contest. 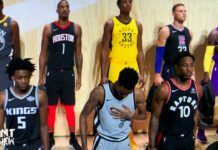 Their challenges will likely come on defence, where they allow over five more points per game to opposing teams without their NBA counterparts, while producing almost less than half of the steals and blocks. Following the two games in November’s fifth window, all 12 remaining teams in the second round will play two more games in the final window in February 2019. Canada is set to play Chile on February 21, and then Venezuela once again on February 24. 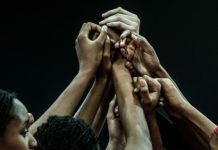 The finale of February games will then see the top three teams of each group along with the best fourth team qualify for the FIBA Basketball World Cup 2019, which will be hosted in China taking place August 31 to September 15, 2019. 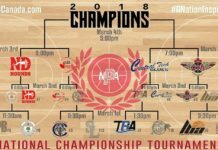 All games can be live-streamed on DAZN or LiveBasketball.tv.